Travel theme: Illuminated | Oh, the Places We See . 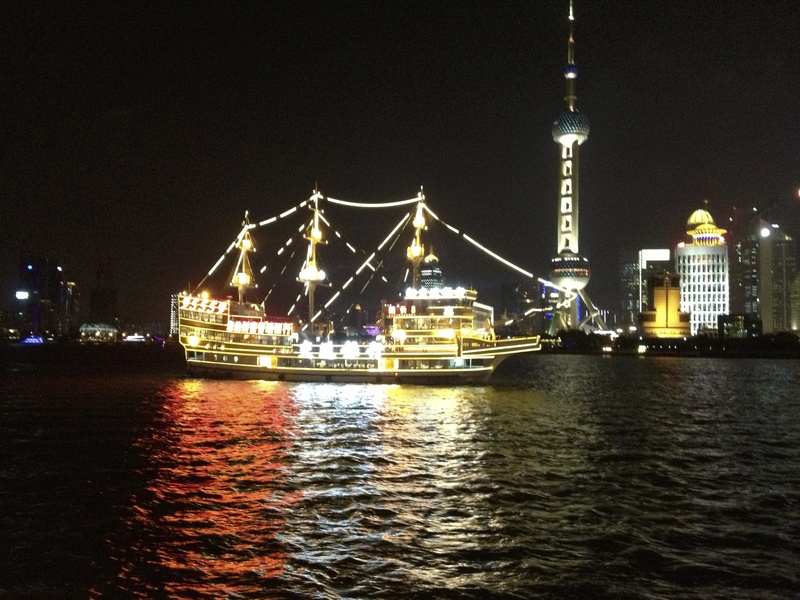 . .
Ailsa’s Travel theme: Illuminated brought back memories of a special night we spent “on our own” during our Viking River Cruise that ended in Shanghai. We began by roaming around Yuyuan Gardens and said our final good-byes to China on The Bund. From our perspective, it seemed that all of Shanghai was illuminated and teeming with people anxious to enjoy the scenery and the liveliness of that busy city. Shops are open into the night in Shanghai’s Yuyuan Gardens district — and the people love strolling, watching little dramas, listening to music, eating on the run, and shopping! 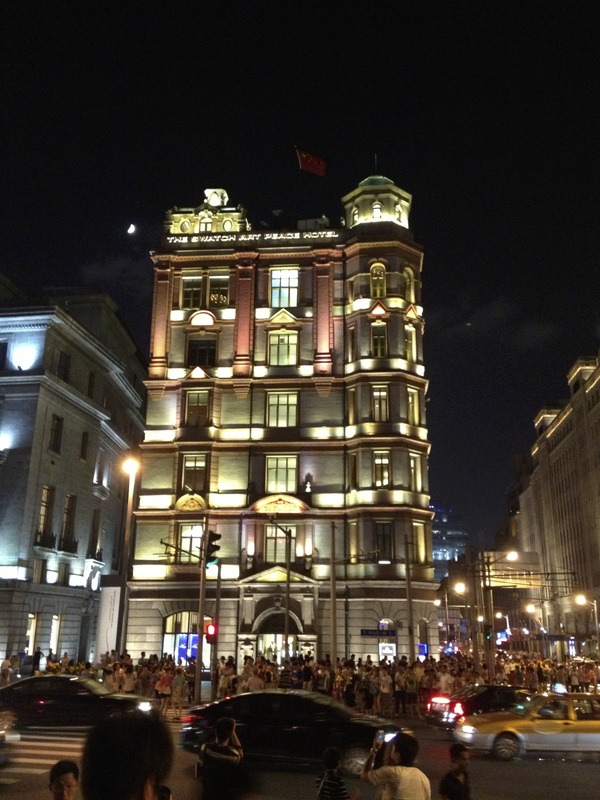 Some of the prettiest historic buildings line the street facing the waterway in the area known as The Bund in Shanghai. Illuminated boats cast colorful reflections on the Huangpu River in Shanghai. In the background is the Pudong area where new buildings light the night. 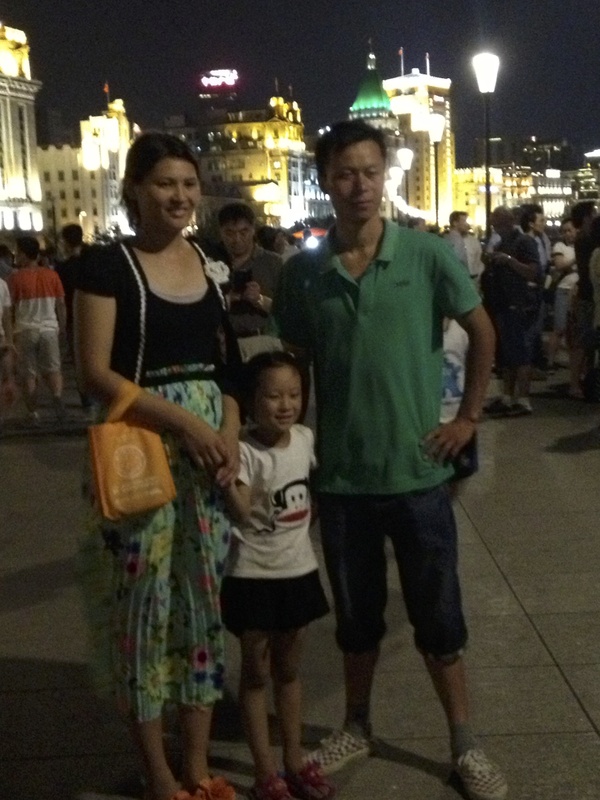 A family willingly posed for a picture standing in front of the illuminated buildings in The Bund. 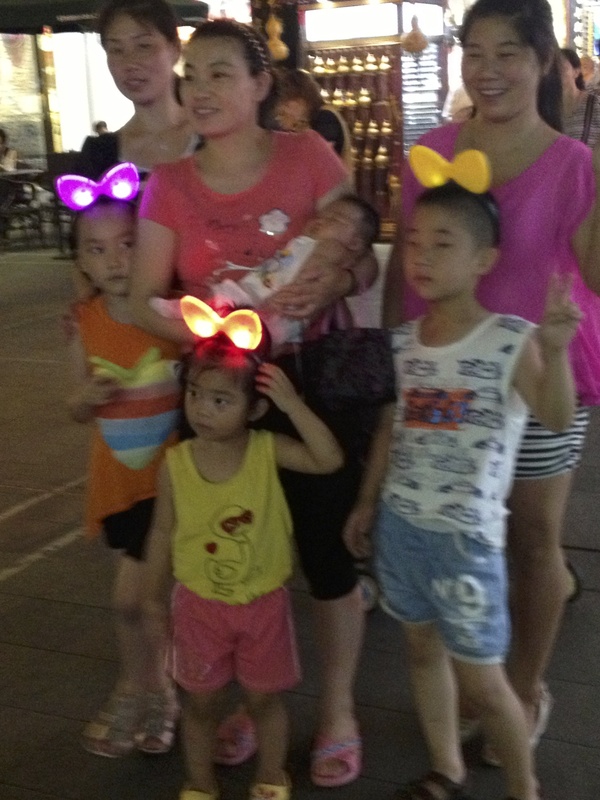 One family wanted us to take a picture of the lighted headbands they just purchased for the children from vendors hawking everything from flashlights to noisemakers. If you want to see more entries in this week’s challenge Travel Theme: Illuminated, head over to Ailsa’s blog Where’s My Backpack? by clicking here. 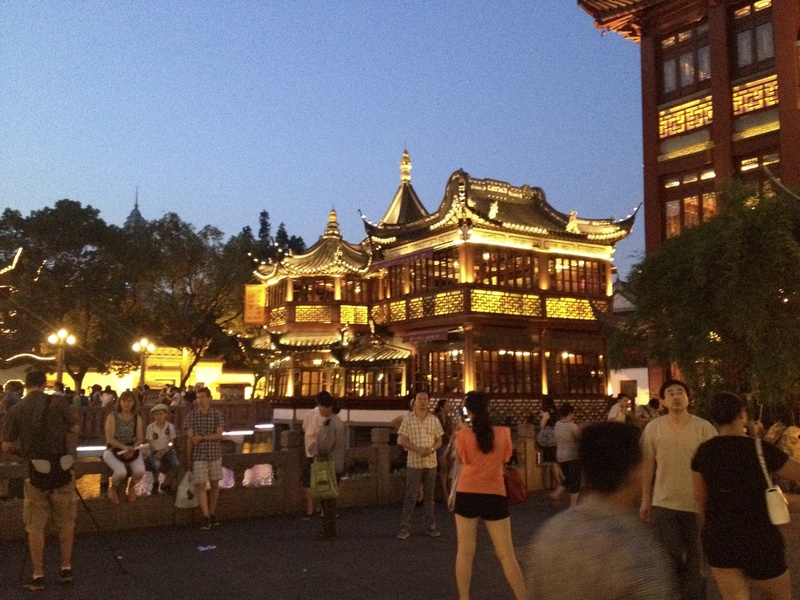 This entry was posted in Travel, Travel Theme and tagged China, Shanghai, The Bund, Yu Gardens. Bookmark the permalink. Lovely shots – I always struggle with night shots, but these are great!! Thanks. The ones of the people were taken quickly with an iPhone, but you get the idea of how happy they were! Thanks for reading/commenting! Thanks! It’s not my best but it fit the challenge! The site, however, was fabulous! That second photo is very well-appointed! Thanks so much. Glad you enjoyed it. And thanks for reading! My pleasure. Thanks for reading and commenting! Thanks! I wish they were clearer. I only had my iPhone and I took them so quickly. But you can tell the people are happy!!! They do look happy… I enjoyed my trip to China, part is because of the people there. So very true. We found smiling, willing-to-help people everywhere! I would love to go to China some day! Great shots! You’ll get there. Thanks for reading, commenting. Appreciate you! I love the third one….. Thanks! You may have been there. It’s a must-see if you go to Shanghai! !